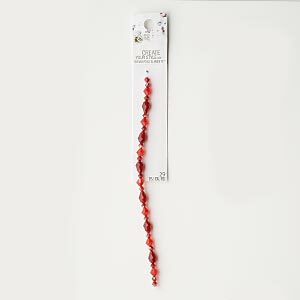 Bead, Swarovski crystal, Siam / light Siam / Indian Siam, 4-6mm faceted bicone (5301) and 9x6mm faceted teardrop (5500). Sold per pkg of 29. 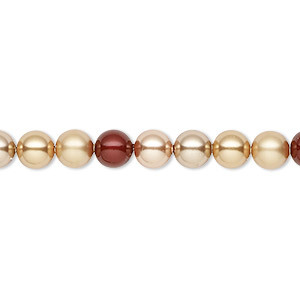 Pearl, Swarovski® crystals, Autumn, 6mm round (5810). Sold per pkg of 50.